Design Build Live was created by and for those who desire to live full, joyful lives that support the human spirit and honor the Earth and all her beings. We seek to design and build our homes, buildings, landscapes and entire lives thoughtfully, respectfully and beautifully. Design Build Live exists to share, practice, promote and nurture natural building and sustainable living. 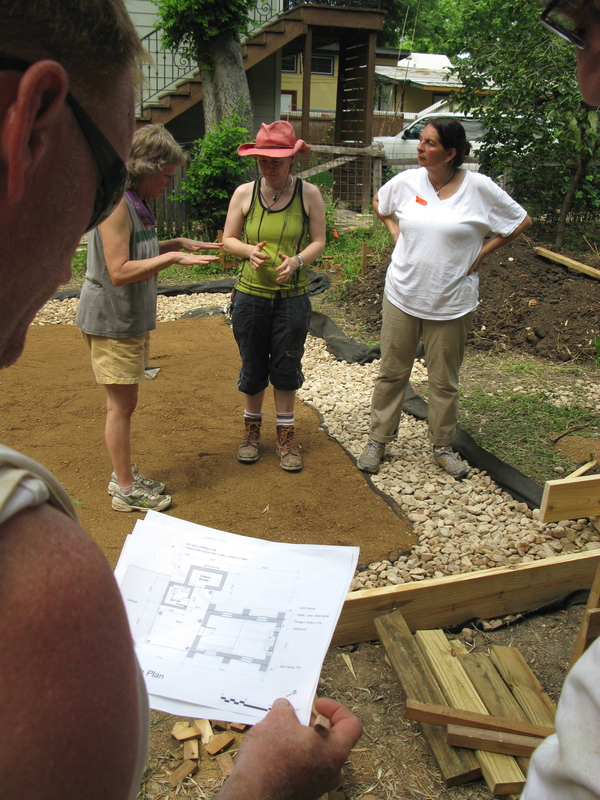 In 1992 a grassroots group in Austin, Texas sprang from the “green” enthusiasm of advisors to a fledgling City of Austin Green Building Program. This group organized itself as the Sustainable Building Coalition (SBC). The SBC successfully pursued its mission to educate its members and the general public on sustainable building.To broaden its educational scope and impact, the SBC has evolved into Design Build Live (DBL). DBL holds close its roots in sustainable building as it takes sustainability beyond the walls. If you’ve gotten to this page because you were looking for the Straw Bale Association of Texas or Sustainable Building Coalition of Austin, Texas-based groups (SBAT and/or SBC), look no further: these groups have combined and evolved into an even bigger, more interesting endeavor: Design Build Live. Many of the key people involved with the two earlier groups are a part of DBL.